If you’ve heard about glycolic acid and have been itching to give it a try, you’ve come to the right place. Not sure exactly what glycolic acid is, and if you should be using it? Fear not, we’ve got that info for you too. The bottom line is, what’s the best way to get your glycolic acid fix? 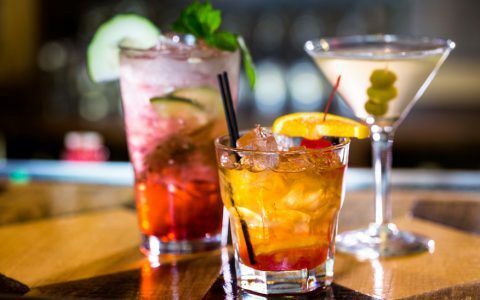 We’ve got you! Only one of the best exfoliators and skincare ingredients around! 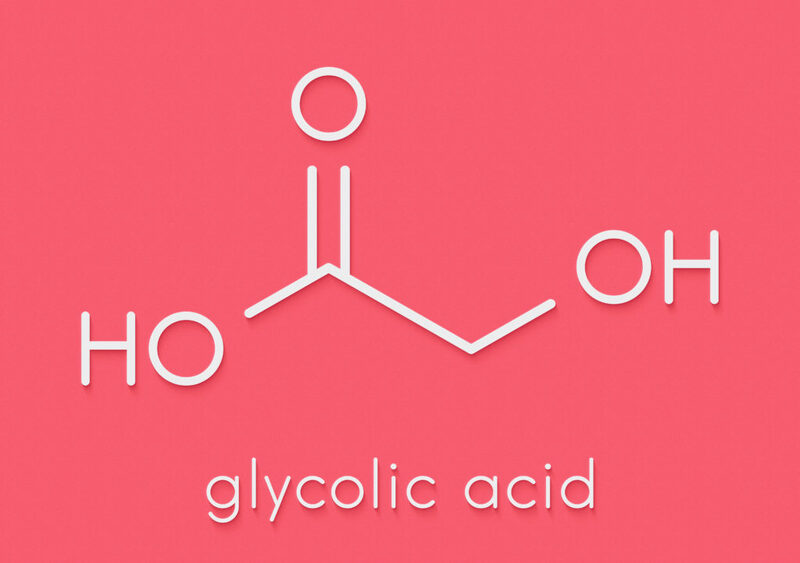 Glycolic acid is an alpha hydroxy acid (AHA) that’s used to treat a ton of different skincare concerns, from dullness to fine lines to ingrown hairs… and a ton of stuff in between. Like other AHAs, glycolic acid is a naturally occuring substance found in fruits, cane sugar, and milk, which makes it a gentle on the skin and safe for just about every skin type. It’s usually found in products like toners and cleansers, but also packs a punch when used in lotions and treatments, like fruit peels. And what exactly makes glycolic acid so great? For starters, it’s one of the most gentle and effective exfoliants you’ll find out there. Unlike physical exfoliants, which are made with beads or gritty sand-like materials to slough at the skin, chemical exfoliants like glycolic acid remove those dead cells without the harsh scrubbing. Thanks to its small molecular structure, glycolic acid is able to penetrate the top layer of skin to break down dirt, sebum, keratin, and dead skin cells, revealing brighter and smoother skin. On top of all that, it’s also a humectant, which means it retains moisture in the skin, making it a fantastic option for anyone looking to shed old skin without drying out. Okay, got it. How should I be using glycolic acid? Now that we know the deal with glycolic acid, how can we incorporate it into our routine? Well, that all depends on what you’re aiming to treat. But luckily, glycolic acid is found in a ton of products that are both effective and easy to use. Glycolic acid doesn’t just treat skin above the neck. In fact, many people use its powerful exfoliating properties to scrub the skin on their bodies, which is quite a bit thicker than the dermis found on the face. Glycolic acid can also be used to treat ingrown hairs, which makes it the perfect shower companion for anyone who tends to get ingrowns, whether they’re in their under arms or bikini area. To scrub skin without irritating it, look to a gentle glycolic acid body product. We are super into the SLMD Glycolic Acid Body Scrub, which specifically targets keratosis pilaris, dull/dry skin, and ingrown hairs. All you have to do is apply a small amount of scrub to wet or dry skin and massage it in with your fingertips. Then, rinse it away and pat dry with a clean towel. Toners are a great way to remove makeup, dirt, or oil from the skin while keeping pH levels balanced. By adding glycolic acid as an ingredient, toners can be used to gently exfoliate the skin as well, which makes the skin better at absorbing any ingredients you apply afterwards. If you’re using glycolic acid to treat dry skin, just make sure your toner is alcohol-free to prevent over drying. When using a toner, apply a small amount to a cotton pad and wipe it gently over clean skin — either your whole face or just affected areas of the skin. Just make sure you follow up with your usual moisturizer for the best results. Yes, that’s right. Exfoliating and hydrating are a beautiful pair. And remember how we told you that glycolic acid is a humectant? That means it helps pull water into your skin, and then the moisturizing ingredients in your lotion will lock in that hydration. Plus, lotion with active ingredients is a skincare option that keeps working so you don’t have to, like while you sleep! Glycolic-infused moisturizers are especially good options for anyone looking to treat symptoms of acne, dryness or irritation. 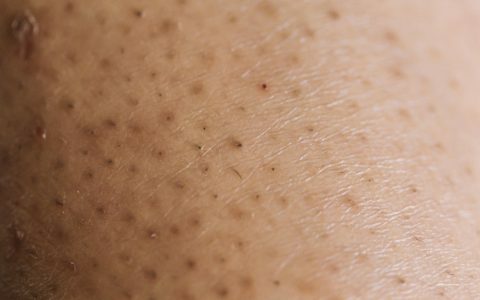 That’s especially true for conditions that affect larger areas of the body, like keratosis pilaris. 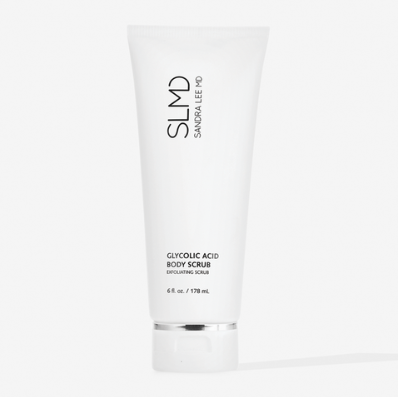 We can’t get enough of the SLMD Glycolic Acid Body Lotion right now. It’s a gentle body lotion that smooths and hydrates because it contains glycolic acid to exfoliate the skin and rich shea butter to moisturize. To use, just apply it to your skin and let the lotion do all the work. Most people wash their face at least once a day (everybody should be cleansing twice a day, but that’s another story altogether), which offers more than enough opportunity to witness the benefits of glycolic acid. If you’re someone who relies on regular exfoliation for soft skin, or if you have trouble remembering to dedicate a few minutes a week to sloughing away those dead layers, make life easy on yourself by keeping a glycolic acid cleanser on hand. To get the best results, swap your usual cleanser with a glycolic acid formula a few times a week! Serums and other treatment products containing glycolic acid are usually go-to’s for anyone looking to treat their acne or slow down the hands of time. Glycolic acid delivers results by encouraging cell turnover through exfoliation, which reveals a youthful, healthy glow. It also pulls debris out of your pores, making it a great acne fighter. Any serum containing glycolic acid, should be applied in a light layer to the affected area and gently patted into your skin. Because serums tend to be more concentrated, start this regimen every two or three days, at night before bed. Then, increase use once you know your skin is responding positively to it. Have yourself a mini at home spa treatment and treat your skin to a dose of glycolic acid. Generally speaking, AHAs are most effective when they sit directly on our skin, so treatment masks are a perfect way to really get a good dose of glycolic onto any problem areas. That said, make sure an at-home mask isn’t the first time you use glycolic – you may notice some pretty seriously tingling with a glycolic mask, and that will be a pretty intense feeling if you’ve never used this acid before. Over the counter formulas that include Glycolic Acid typically only have between 1% and 20% glycolic acid. Skin care professionals, like your dermatologist or esthetician, have products that contain upwards of 70% glycolic acid. 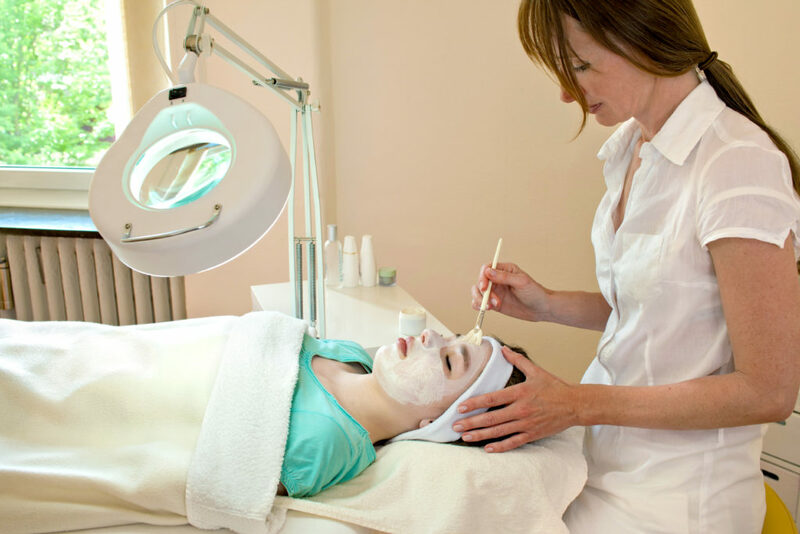 For a serious glycolic acid treatment, like a chemical peel, talk to your derm or favorite facialist about your skin concerns and the results you hope to see, and work together to determine the right option for you and your skin. As with any skincare product or ingredient, you should only use what appears to be effective on your own skin, and that works to treat whatever skincare concerns you’re hoping to tackle. 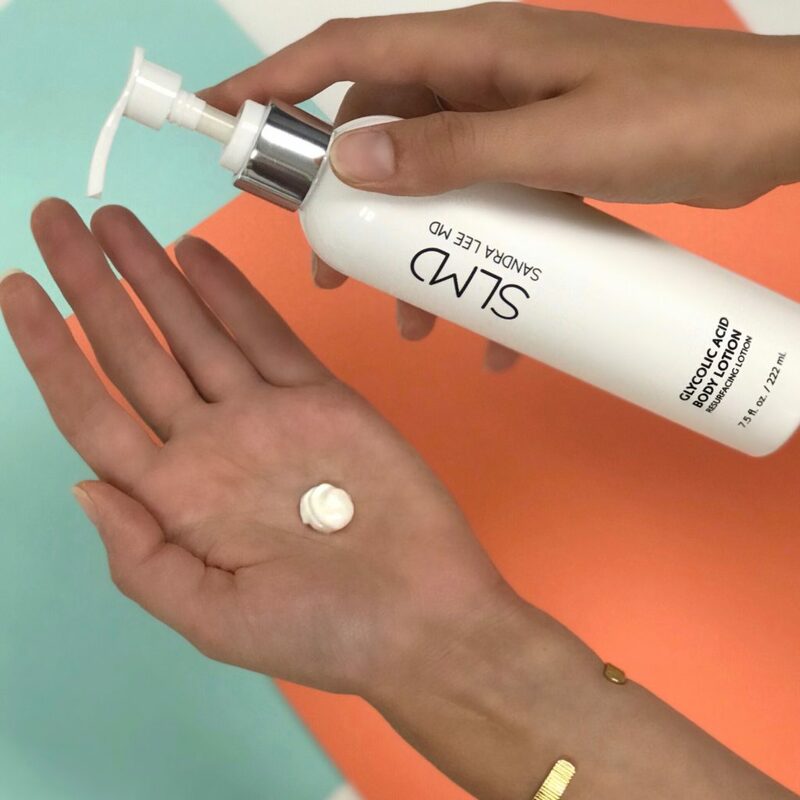 For most people, glycolic acid is gentle enough for everyday use, but it’s always best to spot test before using and start with a slow introduction before gradually increasing use over time. 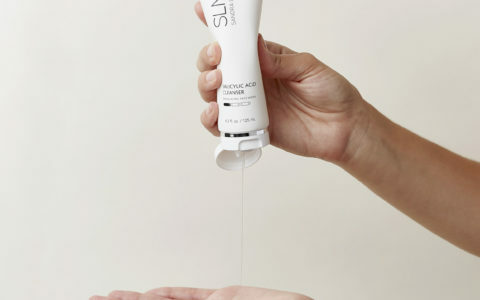 If glycolic acid seems to tough on your skin, consider a gentler AHA like lactic acid, which is similar to glycolic acid but tends to be a little gentler on the complexion. Most cleansers containing glycolic acid use relatively low amounts of the ingredient, which makes it safe enough for everyday use. If you’re just getting to know glycolic acid, however, it’s best to start slow and work your way up to more frequent use. And last, but very importantly, never skimp on the SPF when you’re using glycolic acid! Because AHAs like glycolic acid tend to make the skin sensitive to UV rays, always be sure to follow up with a sunscreen or SPF-infused moisturizer to prevent sun damage or sunburn.